Led by Harmanpreet Kaur, 572 girls performed jump squats for a minute at Niper Auditorium, Mohali to break the old record set for the ‘Most people performing Jump Squats in a minute’ at the Dubai Fitness Challenge in 2017. Apart from the Guinness World Records officials, present at the momentous occasion were Ms. Harmanpreet Kaur, Vice-Captain of Indian Women's National Cricket Team, Mr. Sanjay Singal, Chief Operating Officer - Dairy and Beverages, ITC Ltd. 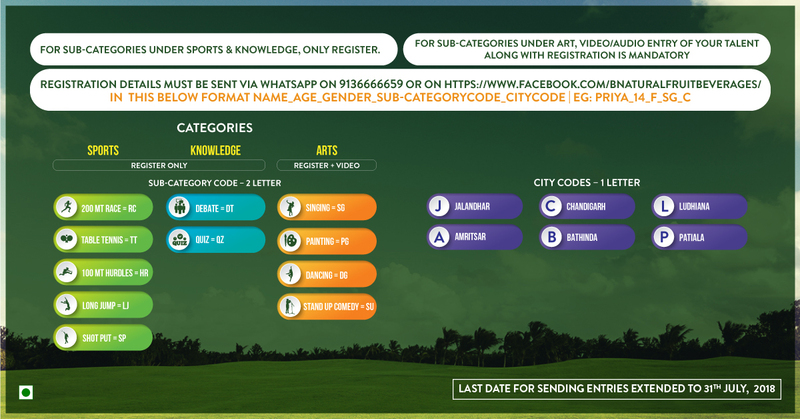 While B Natural Harman XI is dedicated to identifying and nurturing girl talent at a young age across 11 categories in Sports, Knowledge & Arts, Guinness World Records achievement led to creation of history with 572 young girls doing jump squats together. Punjab is a place where there are gifted people and Ms. Harmanpreet Kaur, Vice-Captain Indian Women's Cricket Team and an Arjuna Awardee is one such person who with her coarseness, ability, and a ton of encouragement, rose to stardom. We need more young girls to come ahead, feature their abilities, sharpen them, and move towards becoming stars in their field. Each one of us needs a strong stage, which perceives our ability and talent. 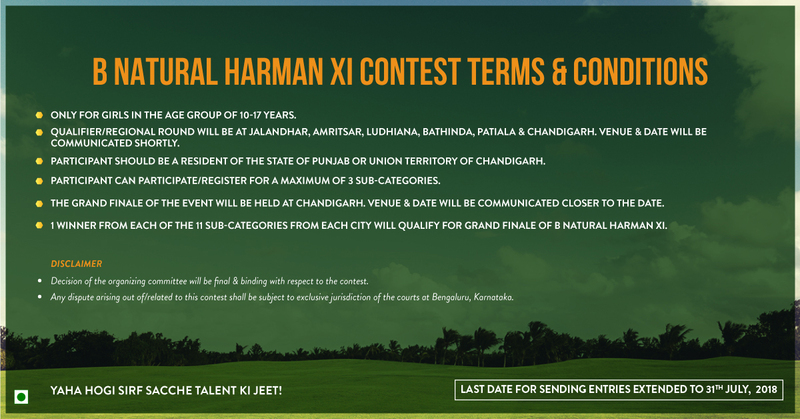 Ms. Harmanpreet Kaur and B Natural unite to bring to you B Natural Harman XI where we recognize 11 talented young girls from the province of Punjab and Union Territory of Chandigarh who get the opportunity to be a part of Harman's team. They get a chance of a lifetime to share the stage with the vice-captain of Indian Women's Cricket team, Ms. Harmanpreet Kaur.